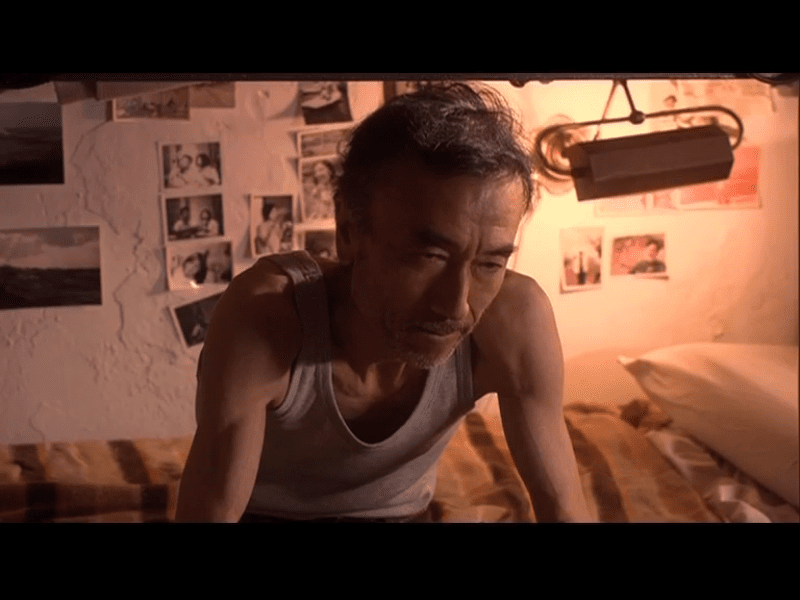 This film is made of two sequences that were not used in the final cut of La leyenda del tiempo, two long sequences with two characters from that film, Makiko and Joji, the old Japanese mariner who still remembers his country. These images were made for a film but now experience a different life, become something else, give substance and visibility to two stories told by an off-screen voice: Harbour City and Faces, two short stories by the Japanese writer Yasunari Kawabata. The characters remain silent, while the story is told by an unknown voice. Who experienced those stories? Was it them, or were they just witnesses? Or perhaps, did they merely invent them?